In 2012, IHS stated that the revenue made by DRAM used in traditional PCs is falling to less than 50%, an occurrence happening for the first time in the last 30 years. Despite that fact the PCs remained the leader in the market of DRAM, current researches show that there will be someone else taking the lead in 2015. The market share of the DRAM used by PC will fall to 30% in 2014 and continue to fall to 28% in 2015 and 23% in 2016 all in favor of mobile electronic devices. IHS has predicted that mobile phones, as well as media- and PC-type tablets will use US$11.6 billion worth of DRAM chips in 2015, while the PC market will use only US$9.9 billion worth of DRAM, or the butter has found a better bread, so to speak, since the 1980s. Note that by “media tablets”, IHS is obviously referring to the iPad-type tablets, or simply those running a mobile OS. The fortunes of the PC and DRAM industries have been intricately intertwined for 30 years now. DRAM makers have centered their technology, capacity and product strategies on the needs of their PC customers. At the same time, the performance of the DRAM business has been dependent on upturns and downturns in the PC market. But with the decline of the PC market and rise of wireless platforms, this alignment is coming to an end. The post-PC era is already a reality in the electronics supply chain. This new era doesn't mean that consumers and companies will stop buying and using traditional PCs. What this does mean is that PCs are not at the center of the technology universe anymore. PCs are no longer driving the action in the global electronics supply chain - a development that has tremendous implications for the future of the high-tech industry. Dale Ford, senior director at IHS, said. Also noted by IHS is the fact that manufacturers of DRAM should be equipped and prepared to deal with the rising demand of their products in the mobile platforms. "Mobile DRAM is more difficult to get right than the commodity DRAM used in PCs," Mike Howard, senior principal analyst for DRAM and memory at IHS, stated. He went on to say that "Large companies with extensive R&D resources to develop multiple products tend to do better in the mobile DRAM market. 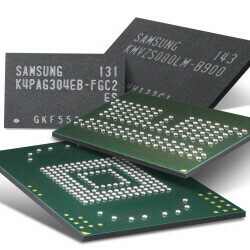 It's no surprise that semiconductor giant Samsung controls nearly 60% of the mobile DRAM market." This is no surprise. Mobile devices sell the most. If you already have, let´s say 16 GB DRAM in your PC, why would you want to upgrade. But with phones, you buy new DRAM with a new phone, you can´t just take DRAM from the old phone to your new phone. It would certainly be cool if you could build your own phone like your PC. By the way, I am waiting for SRAM, way faster and battery efficient, but more expensive and takes up more space though.